Apple butter and sweet potatoes are two of my favorite fall flavors. I just never thought to add the two together!! 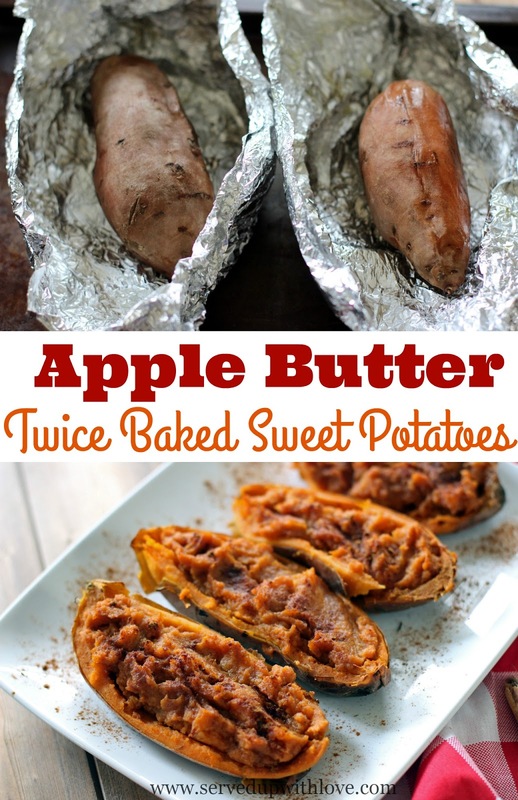 But man oh man are these Apple Butter Twice Baked Sweet Potatoes so good! 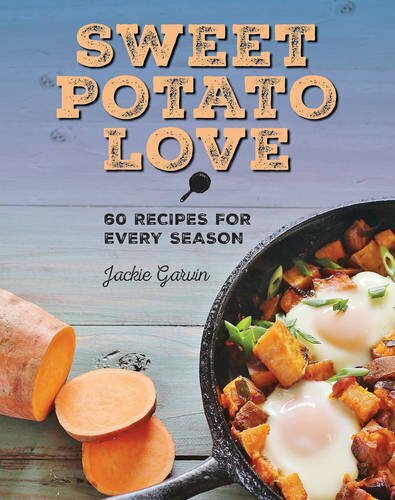 My blogger friend Jackie from Syrup & Biscuits just released her second cookbook and it is all about sweet potatoes!! Sweet Potato Love is filled with all things sweet potatoes and her beautiful family, including her adorable basset hounds! 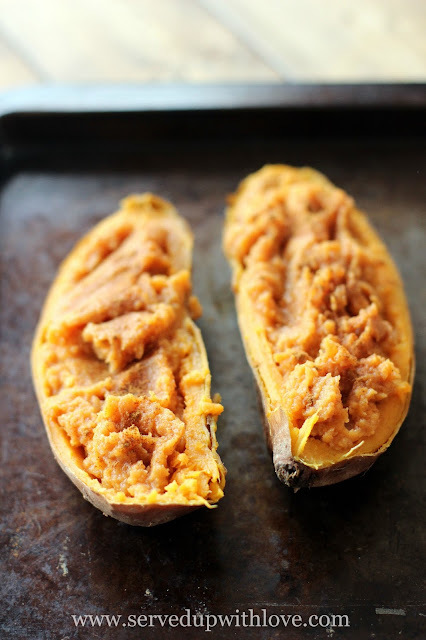 Jackie gives us all the ins and outs of sweet potatoes. From planting, harvesting, and storing, everything you could possible know about a sweet potato. Then each season is broken down into the best recipes to enjoy that season - Fall, Winter, Spring, and Summer!! 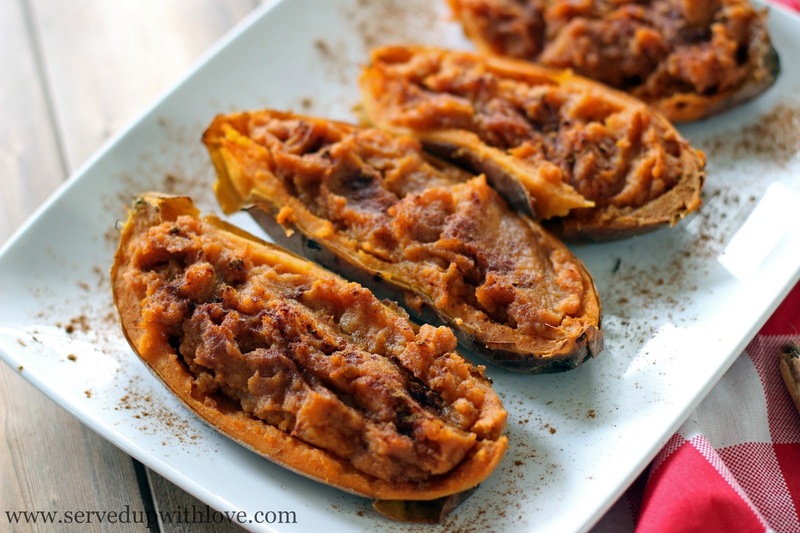 Sweet Potatoes are not just for fall y'all!! These Apple Butter Twice Baked Sweet Potatoes were super easy to make. Especially since I had a jar of Crock Pot Apple Butter in the freezer that I made a few months ago. Now I have another amazing recipe to add to our Thanksgiving day menu. And because I love this book so much, I have a copy to give away to one of our readers so you can enjoy all the sweet potatoes too! Make sure to enter below! Wrap the sweet potatoes in aluminum foil. Bake at 400 degrees for one hour or until soft. When they’re cool enough to handle, remove the aluminum foil and split them in half lengthwise. With a spoon, gently scoop out the flesh, leaving a thin layer in the shell, and put it in a bowl. Add apple butter, melted butter and stir until smooth. Refill the potato shells with the mixture. Lightly sprinkle with ground cinnamon. Place back in the oven for 10 minutes or until reheated. apple butter and sweet potato I can taste now. I've served my sweet potatoes with garlic butter many times in the past, and occasionally used brown sugar and melted butter on them. This use of apple butter (which I love) is going to be my "go to" recipe now. How did I never think of mixing the two?! Thank you for this recipe!! That is an interesting combination. I love anything sweet potato!